It's summertime, and the students of Midorigaoka Academy are indulging in the time-honored tradition of a test of courage A walk through a "haunted woods," it beats the heat by chilling the blood and forms bonds of friendship through shared terror. It's the perfect activity for Mafuyu But not everyone joining the fun has pure-hearted revelry in mind--some mysterious villains are using the test of courage as a cover to attack the Public Morals Club. Izumi Tsubaki began drawing manga in her first year of high school. She was soon selected to be in the top ten of Hana to Yume's HMC (Hana to Yume Mangaka Course), and subsequently won Hana to Yume's Big Challenge contest. Her debut title, Chijimete Distance (Shrink the Distance), ran in 2002 in Hana to Yume magazine, issue 17. 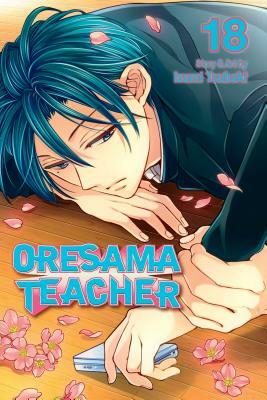 In addition to The Magic Touch (originally published in Japan as Oyayubi kara Romance, or "Romance from the Thumbs"), she is currently working on the manga series Oresama Teacher (I'm the Teacher).